Currently pancreatitis treatment options essentially depends on whether a person has developed this disease in a sudden and abrupt way or this kind of condition has been prolonged, and it cannot be ignored anymore. Treatment in the hospital is recommended to those who have acute pancreatitis so that in the hospital the treatment will allow the pancreas to heal effectively. Fluids will be given to the patient so that a healthy blood pressure and normal one can be maintained. The doctor will give the patient proper medication and make sure that the inflammation has gone and the pain is also vanished. In many cases it’s also advisable that the person is not allowed to have food until 5 to 8 days depending on the person’s healing speed. Especially fatty foods and oil rich foot items are strictly forbidden as due to such food pancreas has to work extra hard to digest and absorb the food. A very common procedure is also carried out if there is any complain of gallstones in a patient, which basically removes the stones from the bile duct. 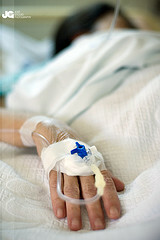 In some patients, doctors specially suggest undergoing a surgery after recovering from pancreatitis. This surgery is basically to remove the gallbladder from the body. This is helpful to prevent the future attacks of pancreatitis and is considered very effective and often a minor surgery. Patients with this pancreatitis which is chronic and lingering on from a long period of time then at an initial stage the treatment will be similar to the treatment of acute pancreatitis but afterwards the doctors will take out different treatments according to a person’s condition and what the reports tell. X rays of the organs and the different parts close to the pancreas are also carried out to see what is going on, on the inside. CT scan also needed to make the detailed and up-close pictures of the organs. RI and Ultra Sounds are also beneficial to diagnose and get to the root of the problem by taking these tests more information is gathered. During the time when pancreas is healing then a patient will be provided nourishment through nutrition and not through food. This type if nourishment basically has liquid nutrients that are pumped into the small intestine by a patient’s nose via tube. Otherwise in a vein of neck of arm the tube is inserted and direct nutrients are going inside to provide the nourishment. Doctors may give medicines to kill the stomach acids which are producing gastric juices along with slight bleeding. However, these medications are just temporary and not a pancreatitis treatment. A person may have to go through oxygen therapy if there are any respiratory complications in breathing and he or she has low bloody oxygen level. In some cases doctors also prescribe antibiotics to further prevent the disease to prevail but it is definite that the proper surgery is needed to remove the infected dead tissue. But it should also be kept in mind that pancreas is a very fragile and delicate organ and can be damaged easily so surgery should also be avoided if it condition is not too serious. The tenth most common cancers these days are the cancer of the pancreas and mainly the cause of leading deaths in males as well as females. Pancreatic cancer is particularly difficult to identify in its early stages. It is usually a slow and gradual process in which this kind of cancer takes place. A self-body exam which helps to check general signs of health for instance any signs of disease or any forms of lumps which is unusual. Doctor always asks the history of the patient’s health habits and earlier illnesses and treatments that the patient underwent. Though, pancreas can be swollen and have inflammation due to various causes but it should be remembered that treatments should and can be practiced by a person on his or her personal level if the checkups and tests have been done and he or she is aware of the problem..
Once the swollen blood vessels, loss of blood, impurity, and damage to the gland occurs it should be taken as an alarming condition as suggested by the doctors to be more efficiently handling these symptoms and not being ignorant of it. The situation becomes so grave that the digestive juices start damaging and eating up the pancreas itself. If this kind of situation is prolonged and also the damage is still not hindered than the pancreas will fail to function normally. The best cure and pancreatitis treatment are eating fruits and vegetable, as vegetables are the richest source of enzymes and minerals that are good in healing this disease.